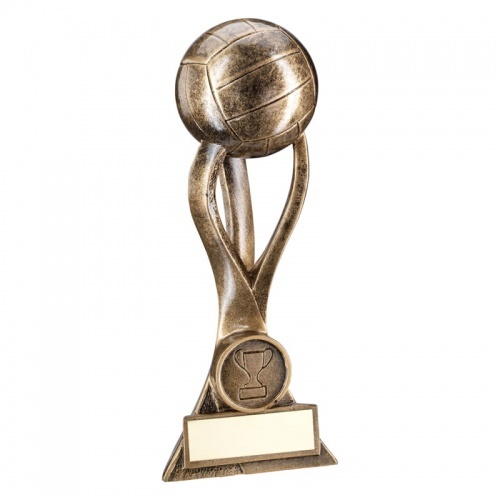 These Gaelic football trophies are made in durable resin with a bronze and gold colour finish. They feature a full 3D football mounted on a three prong organic stem with a 1in centre at the base above a metal engraving plaque. Standing 6.5in / 165mm tall, they are offered here with engraving options for the base plaque.